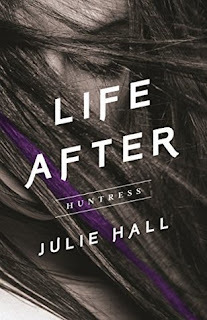 We are SO excited to welcome Julie Hall to Lands Uncharted today as part of the blog tour for the re-release of her YA fantasy novel, Life After: Huntress! You can find out more about Julie and her book below, but first she's going to share her top 3 places to travel. Hi and thank you for having me as your guest today! I thought long and hard about which top 3 I was going to pick. There are so many possibilities out there, narrowing it down was a bit of a challenge, but today I’m going to give you my top 3 places to travel. Traveling is one of my life passions and the places I visit often become some of my biggest writing inspirations. This world of ours is amazing and I can see our Creator’s fingerprints all over it. From the white tipped mountains, to the blue depths of the sea! So, along with giving you my top 3 favorite places to travel I’ll also let you know how they also inspired my writing! My husband and I visited the Arenal region of Costa Rica for our one-year anniversary. I’d always wanted to go to the rain forests of Costa Rica, and in the Arenal region you not only get rain forest, but a huge active volcano as well. Like for reals active! At night you can see the red magma dripping from the top. Which incidentally leads to some of the most amazing natural hot springs in the world! But it wasn’t only amazing scenery we got to experience. When we visited Costa Rica we rappelled down waterfalls, zip-lined over 300 foot ravines, hiked through rainforests, white water rafted, and stayed in a hotel with its own zoo. We were allowed to play with animals that you usually can only interact with through bars or glass plates, such as sloths, toucans, and pumas. My trip to Costa Rica sparked my sense of adventure and wonderment of the world around me, which is sprinkled into all my books. My characters live their lives in exciting ways and experience what some us only dream of doing someday. The more amazing and exciting things I experience, the more my imagination runs wild! My characters live in a fictitious world where there are no boundaries on what I create for them. My memories of visiting Costa Rica definitely helped invent some of the wilder parts of the Life After world. I learned to ski while growing up in the mid-west . . . which basically meant I spent a lot of time “ice skiing” rather than actually powder skiing. I’d always heard how amazing the Rocky Mountains were to ski/ride, but it wasn’t until I was in my 20s that I got to experience it for myself. I’ll admit, I’ve turned into a ski snob (actually, boarding snob if you want to get technical) and rarely go anywhere else. Our family now takes yearly trips to Colorado to go skiing and boarding. 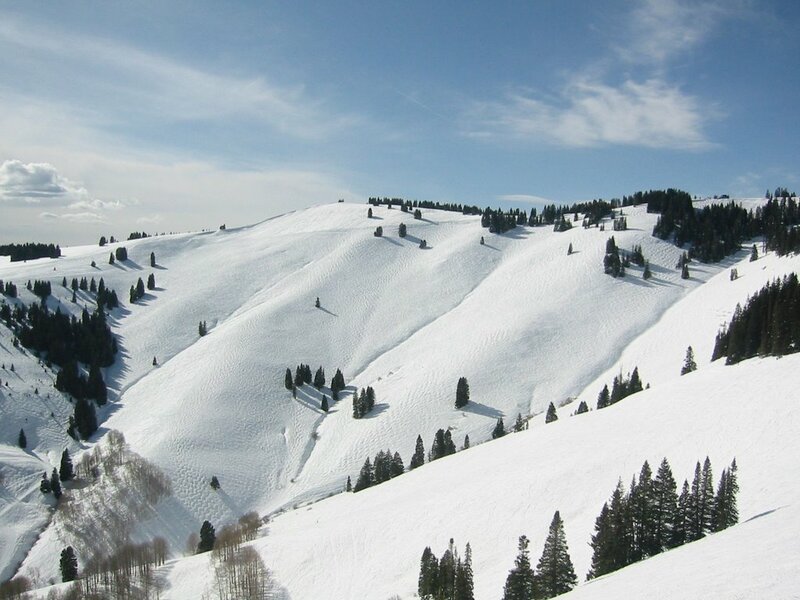 But besides having amazing snow, the majestic mountain ranges simply take my breath away. I believe that most of us fall into two categories: mountain people, or ocean people. Not to say that we can’t love both, but one of them moves us in a way that the other does not. Although I do love the translucent blue waters of the ocean, I’m firmly in the “mountain people” category—and also oceans have sharks . . . so there’s that. My obsession with the mountains can be seen throughout the Life After series. It is also a trait that my main character, Audrey, picked up from me. In each book of the series mountains are featured in some form. I even slipped in a snowboarding scene in book 2, Warfare, which is releasing this Spring, 2017. So if you’re a mountain person like me, I think you’re going to really enjoy my books—and if you’re an ocean-lover, I’ve got some of that in there as well . . . minus the sharks! “Hey, we should have a destination wedding!” To this day I’m not sure if it was my husband or I who first uttered those words, but for now, I’ll take the credit. Once my husband—then fiancée—and I got it into our heads to get married somewhere other than the fifty mile radius around our home, we couldn’t shake it. It took three flights, one very sketchy bus ride, an hour ferry trip and slow moving funicular ride to arrive at our destination. Surrounded by thirty of our closest friends and family, we were married on the island of Capri, off the Almalfi Coast in Italy. Capri is—in my opinion—one of the most beautiful places on Earth. With its adorable topsy-turvy European homes and its winding streets. Its lemon groves and jutting cliffs. I haven’t found a place that compares to it. But despite the irrefutable enchantment of Capri, my favorite part of our wedding was not the destination itself, but the time spent with our friends and family. We ate meals together, took a boat trip around the island and swam in the deep blue waters of the Mediterranean Sea. We laughed together, rejoiced together, and celebrated together. In short, for a few short days we all did life together and built lasting memories. And that’s what I set out to do for my readers. Create memories and experiences—although fictitious—for them to enjoy. For many different and valid reasons most of us can’t pick up and travel somewhere exciting on a moments notice. But I believe picking up a book can do that do you. One of my favorite book quotes is, “Reading gives us someplace to go when we have to stay where we are” (American aphorist, Mason Cooley). Want to take an adventure through the jungle without getting bit by hordes of bugs, pick up a book! Want to travel to a location with purple skies and blue sidewalks? There’s probably a book out there that can take you there. For me Capri is a reminder and an inspiration to take my readers to amazing and exciting places and give them an experience that will last them a lifetime. Julie Hall was a late blooming reader, but once captivated, writing became her dream. Going the practical route in college she earned a business degree from the University of Michigan. 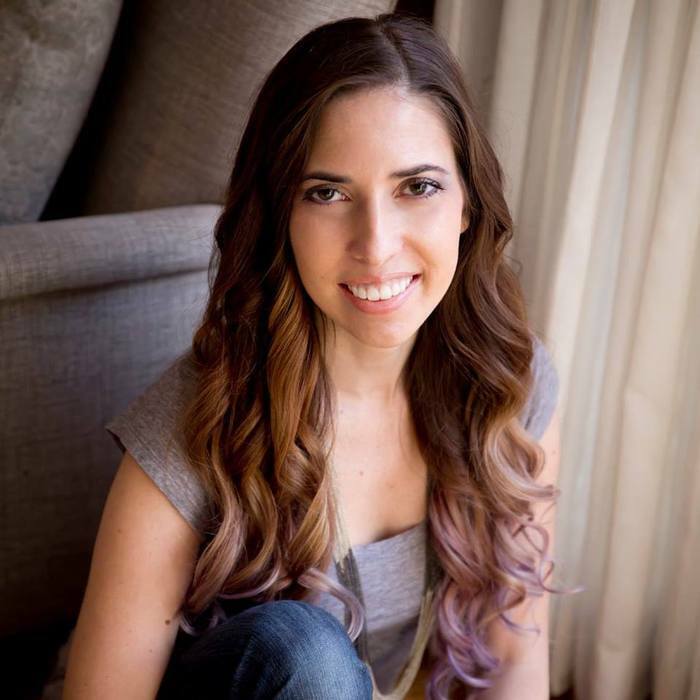 After school, she worked in marketing and publicity for both television and film, until she'd had enough of selling other people's creative expressions. 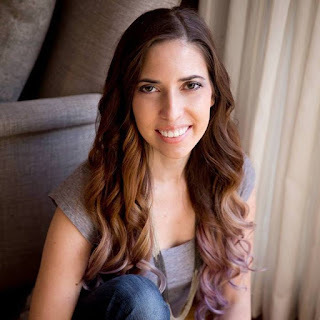 She miraculously convinced her dashingly handsome husband that having ten years of experience mentoring youth, the idea of quitting her job to write a young-adult novel was the sensible thing to do. Since then she's become a puppy mama to a goldendoodle named Bear, and an actual mother to her adopted daughter. No one’s afterlife is as dispiriting as Audrey’s―at least that’s what she believes after waking up dead without her memories and being promptly assigned to hunt demons for the rest of eternity. She’s convinced God’s made a cosmic mistake; after all, she’d rather discuss the color of her nails than break them on angelic weapons. It doesn’t help that her trainer, Logan, is as infuriating as he is attractive. And just when Audrey and Logan appear close to developing an amicable relationship, a decision made under duress pushes their hearts in a direction neither of them saw coming. Despite her sub-par fighting abilities, an ancient weapon of unparalleled power chooses Audrey as its wielder, attracting the cautious gazes of her fellow hunters and the attention of Satan himself. With Satan’s eyes now fixed on Audrey, a battle for the safety of the living looms in the shadows. Doesn't this sound fabulous? And believe me, it is! The characters, descriptions, and world-building are phenomenal, with one of the most intriguing / frustrating romances I've read in quite a while :) I'm very eagerly looking forward to the release of the next book in the series! You can preorder the new edition of Life After: Huntress here. Thank you so much for joining us today, Julie! Want to enter for a chance to win a copy of Huntress or other prizes? Fill out the entry form below! Wow! Talk about fun adventures! I'm currently reading HUNTRESS right now and it is so cool to see how she really has a created this since of awe in the book. I feel just as amazed as Audrey when reading. As a side note, I'm almost done and I can see why you would mention a frustrating romance. I soooooo need WARFARE! Also, meant to mention it in my prior comment, but thank you for participating in the blog tour! Loved reading about these paces. Those sound like amazing places and the photos are beautiful. I want to visit the French countryside and see the Alps and the ancient villages. I also want to see Patagonia, the fjords of Norway, and, oh, lots of other places! Oh those are GREAT places to visit! I haven't been to Norway, but I've been all over France. It's especially beautiful in the summer when all the flowers are blooming. And the Alps, I mean, what else can I say? Mountains...snow...I'm a junkie! I hope you make it there soon! Thanks! There are lots of great places to visit in Italy! I'm a quarter Italian, so I had to include the country in my "must travel" list. ;) I hope you enjoy the book! Fun post to read! But I haven't been to any of these places. ~sigh~ They sound wonderful! Love the book Life After: Huntress! I will HIGHLY recommend it to everyone! I'm so glad that I tried this book, and can't wait for the next one. I'm thoroughly enjoying your blog. I as well am an aspiring blog writer but I'm still new to the whole thing.